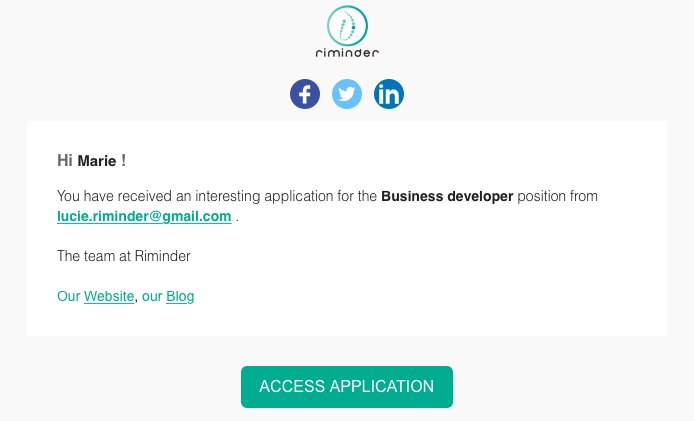 Timing is key to your hiring success and Riminder allows you to be proactive regarding your prospective candidates by sending email notifications each time you receive an interesting application on your platform. You can subscribe as a Job Manager for a given Filter, meaning that you will be able to manage and see all your profiles scored and ranked for this Filter. 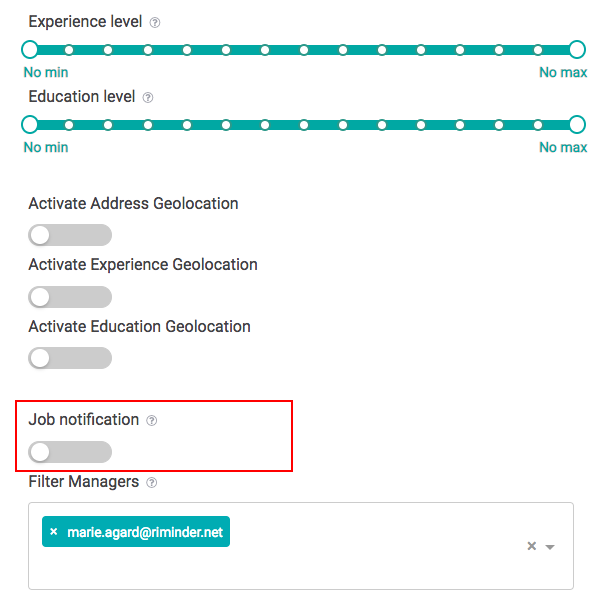 However, if you want to receive email notifications, you should activate the Job notification button. When the Job notification is activated, you can set up a threshold beyond which applications are considered as interesting. Job managers will receive an email notification each time a candidate's score exceeds the given threshold. By default, the threshold is set at 90% when you create a new Filter. To disable job notifications, simply desactivate the job notification button. You won't receive emails for this given Filter anymore.